Registrants will be invoiced $295 for attendance. Interested in staying coming in the night before, please feel free to book your hotel room through our conference registration platform here. 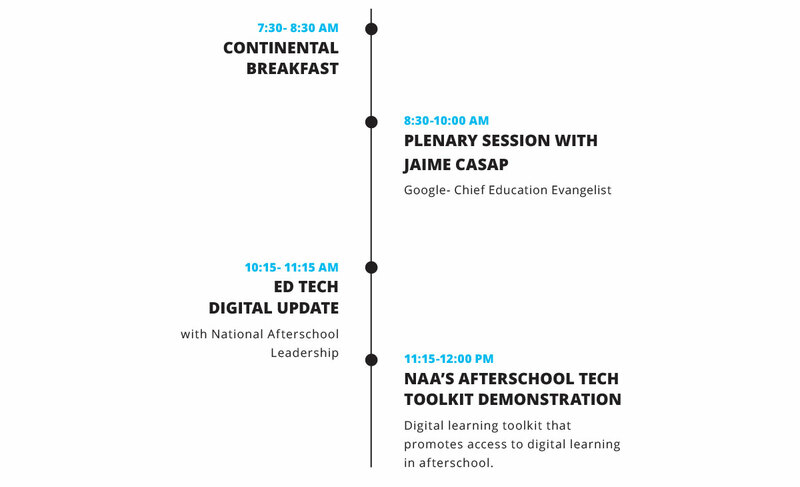 Developed in close partnership with educators and afterschool professionals and with support from Google, the National AfterSchool Association’s Afterschool Tech Toolkit empowers afterschool professionals with resources and hands-on training to give students access to meaningful digital learning during outside of school hours. We are building an environment that supports the expansion and use of educational technology tools and digital learning in afterschool programs and we invite you to be a part of this work. 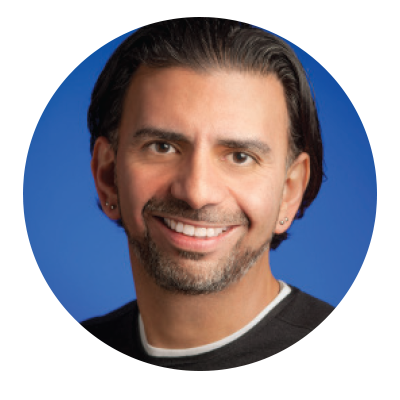 Jaime Casap is the Global Education Evangelist at Google, Inc. Jaime evangelizes the power and potential of the web, technology, and Google tools as enabling and supporting capabilities in pursuit of creating powerful learning models. Jaime works with educational organizations around the world, helping them find ways to continuously improve the quality of education by utilizing and enabling technology capabilities. Contact Carole Berke at carole@caroleberkeassociates.com if you have any questions and to build your contacts in this dynamic and growing market!